Many people find it frustrating when domestic dogs are loose, while many people, especially in Missoula, believe their dog should be able to roam wherever, whenever. 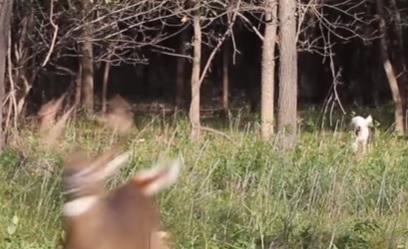 Here’s some footage of a dog chasing a nice buck. Would it bother you if you were hunting or trapping, either on public land or your own private property, and random dog ran by, chasing something around or was caught in one of your traps? I, personally, have a very strong opinion on the subject, but we want to know what YOU think.